Twenty images showing the most dramatic moments in the Edinburgh derby over the past 20 years. 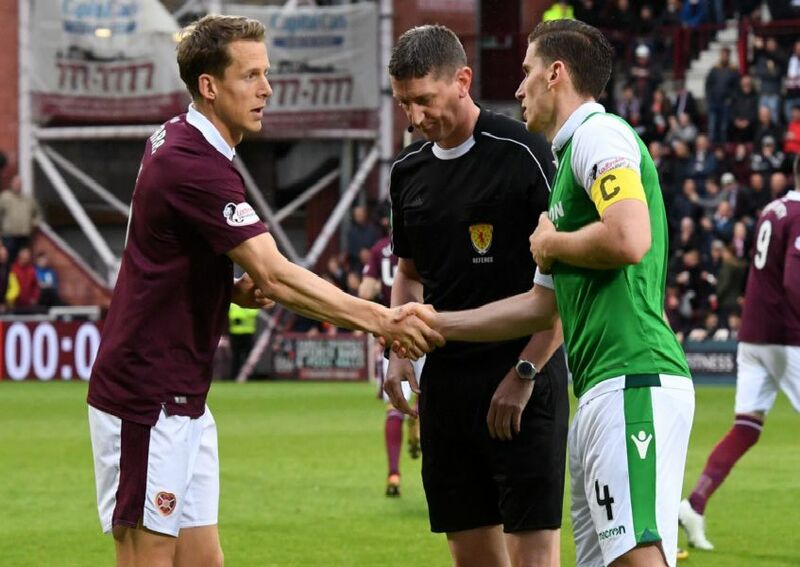 Dean Shiels was sent off for barging into Craig Gordon seconds after scoring a penalty. Hearts would win this clash 3-2 on Boxing Day, 2006. Leigh Griffiths (not pictured) sees his free-kick hit the bar and cross the line - but the officials fail to spot it. The two sides would draw 0-0 in March 2013. Paul Hartley nets the second of his three goals as Hearts beat Hibs 4-0 in the 2006 Scottish Cup semi-final. Hearts' unbeaten start to the 2005/06 season comes to an end at Easter Road as Guillaume Beuzelin and Garry O'Connor (pictured) score in a 2-0 Hibs win.